Jiu Tai Steel in Kunming City is one of the leading steel framed house builders in Southwest China, building more than 1000 houses every year. 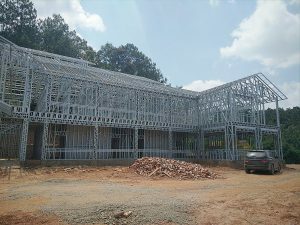 The company is active in promoting Cold Formed Steel framing in China, aiming one day to be the top brand in the industry. 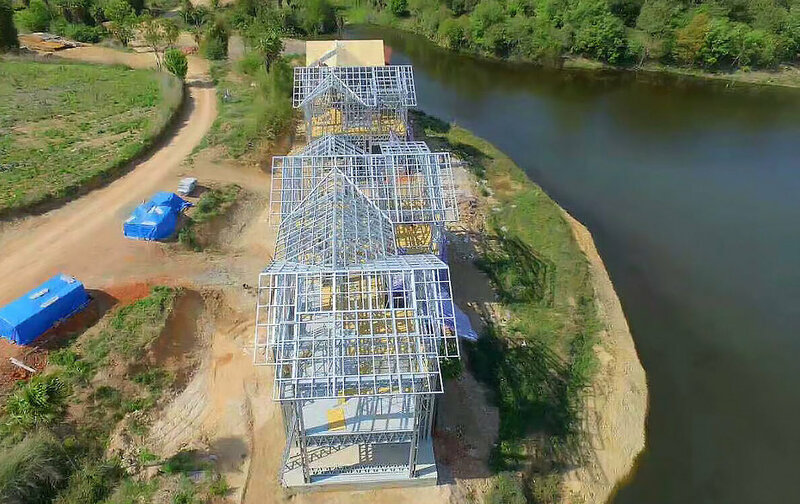 Steel framed housing is a growing industry in China which is partly due to the government’s efforts to promote houses that are environmentally sustainable and durable in the country’s earthquake-prone areas, especially the southwest region. Manager of Jiu Tai Steel’s Detailing Department Mr Jianchao Sun says the CFS industry is still quite new in China and there is an urgent need for clear and easy-to-use building code. Jiu Tai Steel sees this as an opportunity to become a leading brand and the company’s currently working together with the local authorities to develop a local code in the near future. Jiu Tai Steel has also formed a research team with other industry experts to develop new designs and construction techniques that will better adapt the unique geographic conditions in Southwest China. Jiu Tai Steel became a Vertex user in 2015 after visiting the PMMHF exhibition in Guangzhou. They purchased licences through Dahezhongbang, a partner company of Vertex, together with their roll formers. With Vertex BD software, Jiu Tai Steel is able to detail up to 100 houses per month. Mr Sun credits the company’s success to experience, professionalism and cost-effective production of frames. Jiu Tai Steel currently has 16 roll formers to produce their own frames, which saves them in manufacturing costs. 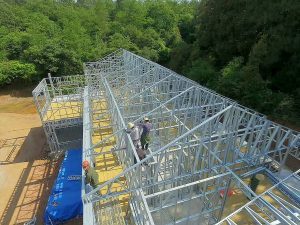 Jiu Tai Steel’s clients include individuals, other companies and government departments, meaning projects can vary massively in scale, cost and detail. They have designed and built steel framed buildings for tourism projects, government housing projects, schools, nursing homes and customised residential houses. As every new project is different, the company needs design software that is flexible to use. Mr Sun says a big advantage of Vertex BD software is that it can be customised according to their way of building. He says the software is straightforward to use and its great selection of functions helps with more complicated designs. 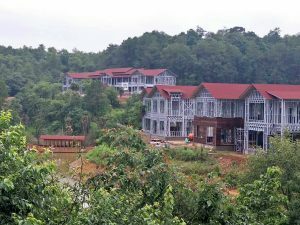 Jiu Tai Steel’s apartment project in Hongshi Village, Malong county. The company is currently using Vertex BD mainly as detailing software. – It is crucial for us to have a tool which can quickly create a draft 3D model with fairly good details to communicate with clients in the early phase of a potential project. With Vertex BD it can be done easily, Mr Sun says. However, Mr Sun recognizes the software’s potential for much more. In fact, the company has plans to take full advantage of the BIM tool in the future and use Vertex for drafting, sales, cost estimation and engineering, once Chinese building standard is implemented. 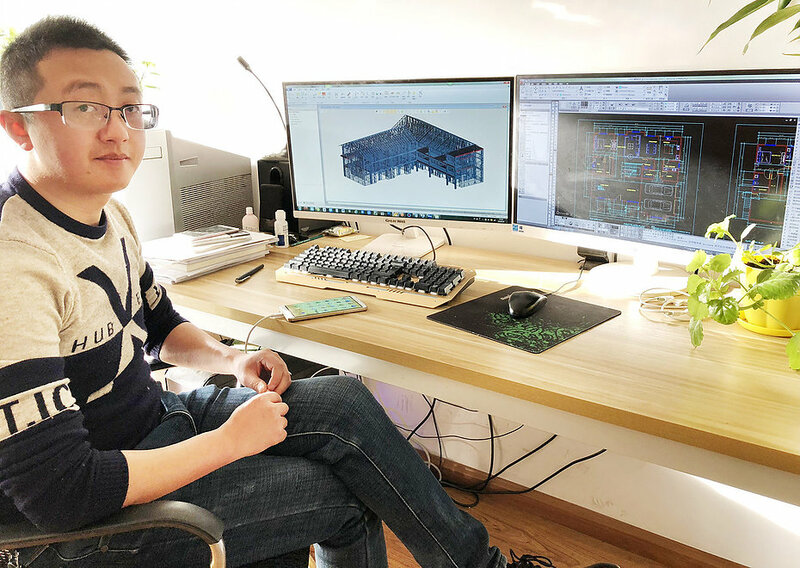 Jiu Tai Steel is also planning to standardise their building components which will streamline their design and construction processes, helping them to complete projects quicker and more easily. Mr Sun says he is looking forward to working with the Vertex team to achieve their targets and become the leading brand in the Chinese steel framed building industry.